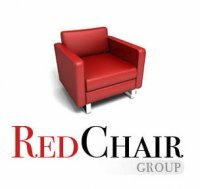 Not as many people know about Red Chair, but it’s new – this is the first event – and the creator of it is an only recently discovered gem in the sm industry. His name is Olivier Blanchard, and we are pleased to call him both a friend and business partner… he is someone that we rely on for advice, debate, discussion and who we mention in RFP’s and proposals for corporate or on-site training. We’re lucky enough to get to pick his brain at will, but his Red Chair events offer everyone the chance to get to know him personally and take whatever understanding you have of social media marketing, social media ROI or social communications and customer care to a new level of intelligence. 1. Olivier doesn’t do “fuzzy math”. His slideshare presentation from a conference speech on social media ROI has garnered over 104,000 views, was featured on Mashable as a lead story, is embedded on nearly 600 websites and blogs, and has literally been used in dozens of presentations by OTHER social media consultants, to make a point with clients or close a business deal. 3. A former business consultant, product marketer and brand advisor, Olivier has both B2B and B2C as well as startup and Fortune 500-level expertise, working with such companies as Microsoft and SYNNEX and he knows operationally, and from the corporate level, what it means to do something as simple as start a Twitter account. You’ll never find him promising to make your video “go viral” or get you a ton of followers on your Twitter account. The short-term tactics of many consultants are not the strategy Olivier takes when helping you assess your approach to social media. 4. An active blogger since 2005, Olivier has had a front-row seat to the changes we have all made online the last few years, and has been at the forefront of experimenting with and learning about marketing to and serving customers with a mix of traditional and social methods since the first social platforms started appearing. He brings practical, real-world experience to both his training sessions and his consulting gigs. 6. Olivier has become a sought-after speaker the last year, and his presentations, keynotes and chats bring valuable insights to participants and are often tweeted about and written about online. 7. He goes deep and delivers real substance, above and beyond what many experts in this field offer for advice and guidance. Case in point: covering every detail of presenting your company’s brand on Twitter in images and verbage as a plan and not an accident. 8. Red Chair trainings, at least as far as I know, do not exist in this form anywhere else. This is like a crash-MBA in social media marketing and communications… without the MBA pricetag! 9. Olivier, with all of our help, wants to help people understand the real value behind using social media for business, and how to use it to transform your company culture, user satisfaction and ultimately sales. He has spearheaded the use of terms like “people to people” and “social communications” that others pick up on and use, because they make sense and add another step along the path of social evolution that all of us in this realm are defining. 10. Olivier has made me smarter. I honestly believe that everyone attending his Red Chair trainings will walk away smarter too. It’s not merely the education he imparts or the insights he pinpoints for you so sharply… it’s in his questions. He poses questions and theories that make you think for yourself and in doing so, your brain enlarges just that little bit more, that you feel you really see things in a different way, or you can imagine something new you hadn’t quite visualized before. Armed with new viewpoints, you will tackle problems and see opportunities in a different way after being exposed to this unique frenchman! 11. And speaking of France… Olivier is not 100% American. His heritage is French, with some other influences mixed in. Why this matters is because he has a lot of international, and therefore broader experience in the world than some of us do. And if social media has taught us anything, it’s that the world feels smaller than it used to – we can reach people faster and easier than we ever could before. And we need to be aware of what that means from the organizational standpoint, if we’re becoming a social company. 12. Olivier is active on his and other people’s blogs, Twitter, Facebook and Linked In. I don’t want to speak for him, but I am pretty sure that if you attend his trainings and get to know him, you’ll have a lasting and rich relationship with him and will be able to reach him as things come up that you need a nudge in the right direction with. I have seen him help countless numbers of people online. 13. Customer service managers, directors and support people: Red Chair will have a lot of information to help you build or improve a solid customer care program. 14. Executives and anyone concerned about social media and the ramifications and impact: Olivier will be covering lots of legal issues like defamation and confidentiality, as well as social media policies. 15. Ad and PR agency principals and managers: you will leave with a blueprint for how to help clients put a social media program in place, as well as concrete, actionable steps you can take to improve your own social presence. 16. Chief Marketing Officers: you will be armed with the knowledge you need to help you make hiring decisions, marketing campaign decisions and more after your Red Chair sessions. 17. Human resources managers and recruiters: Do you know how to hire a social media director, community manager or other social media personnel? Olivier has been very vocal in the community about who is qualified for these important responsibilities and he’ll guide you in making sound choices that will actually be effective for your company. 18. Social media is about integration into many facets of your operation… not just something the marketing team or your PR agency does. You’ll learn how to integrate social media into your company in a planned strategy that minimizes risks and embarrassing brand failures. 19. Olivier Blanchard has… well, finesse. His approach has been admired by many industry heavyweights, who I have seen compliment him on his style, manner of handling issues and people, and willingness to stand his ground about topics others shy away from. What better person to learn from? 20. There is an art to teaching something that sticks in your memory. Olivier blends humor with graphics with clear, concise words and his indelible style equals a pleasurable learning experience you’ll be able to relate to, comprehend and remember. 21. We value the work Olivier does and highly recommend attending his training! It will be an investment of time and cost well spent. We love what Olivier is doing with this training program so much we will be bringing it to Kansas City this summer. The date is not yet determined. His next event at the moment is not until May, so check out the Red Chair Portland sessions and if you absolutely can’t make it, see the schedule of future events at the site.